Suni Kartha speaks at a District 65 board meeting. Board members discussed the accusation of discriminatory practices voiced against Nichols principal Adrian Harries. Evanston/Skokie District 65 board members evaluated successes and areas for improvement in their strategic plan to close the gap between black and white student academic performance. The discussion comes in response to national backlash following claims that the separation of faculty at a District 65 school for a training session was indicative of segregation. District administrators presented the quarterly progress report and equity update at the board meeting Monday at the Joseph E. Hill Education Center. Despite criticism from media outlets, the board emphasized their support for Nichols Middle School principal Adrian Harries. On March 23, Peter Kirsanow, commissioner at the United States Commission on Civil Rights, wrote a letter to Harries, saying his practice of separating teachers based on race for an equity training was “beyond appalling.” However, Harries later received a letter from the chair or the commission saying that Kirsanow’s words do not reflect the views of the commission. Board president Suni Kartha said the district and Harries had received support from community members and Nichols parents over the past two weeks. Kartha said the board “wholly supports” Harries and highlighted his drive to educate his staff about racial justice. Over the past three years, District 65 has revamped efforts to close the gap between white students and black students, superintendent Paul Goren said. Goren said the district has worked to write a more culturally sensitive curriculum, hire a diverse staff, create a positive school climate and increase access to extracurricular and summer activities for minority students. 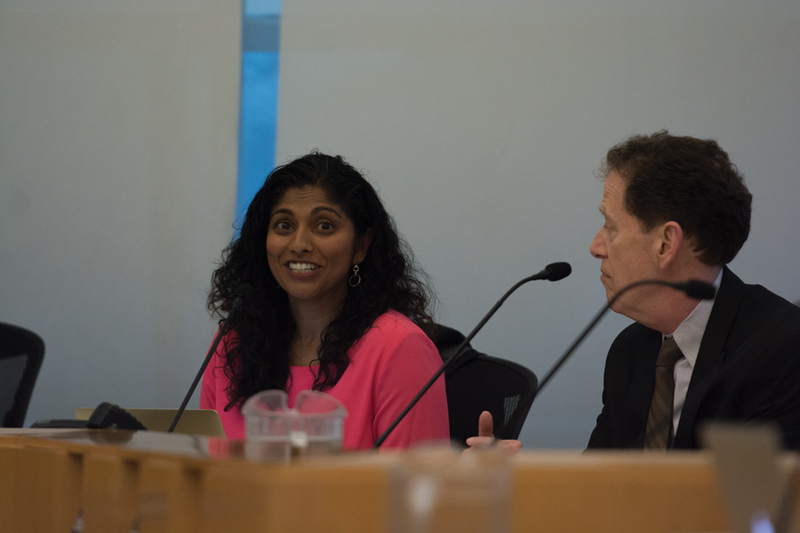 Though board members were enthusiastic about their progress in increasing equity, Kartha said the district could do a better job communicating with minority parents about opportunities for academic and extracurricular support. She also said within schools, equity “teams” can do a better job of disseminating their findings. Oliver Ruff, vice president of Evanston nonprofit Organization for Positive Action and Leadership, said he was relieved to hear board members explicitly condemn the claims against Harries. Ruff said the district is moving in the right direction regarding larger equity efforts but still has a ways to go.